McMorris Rodgers supporters: I went to the "debate" on 10.17.18 at the Fox with an open mind, completely cleared my mind of all I had seen on TV. Although I had not seen McMorris-Rodgers enact a bill or vote on anything that would enhance neither my or my grandchildren's educational or medical circumstances, I was willing to listen to her in person. I DID, and what I heard were the words, "I'm excited---, I'm happy" and other expressions describing how SHE feels about the job she has done. I found Brown addressing the actual issues and providing info. that I wanted to hear. Sitting in front of me were McMorris-Rodgers supporters applauding for her so hard with tears in their eyes, that I said they could have been teenagers applauding for a rock-star. Less emotion folks, read and listen. Who gave us the most intelligent and worthwhile answers last night? You know. Blocking that intersection: ...Because you thought you could squeeze in behind the car ahead of you and hope the light stays green. Meanwhile, you're blocking cross traffic who can't proceed through their own green light. Listen: your lack of planning ahead shouldn't interrupt everyone else who is also trying to make it to work on time or get home from a day of hell at the office. Washington law states: "No driver shall enter an intersection or a marked crosswalk unless there is sufficient space on the other side of the intersection, crosswalk to accommodate the vehicle he or she is operating without obstructing the passage of other vehicles." Also, it keeps you from being an entitled A-hole, mmmmk? Thanks. Big shaggy dog man: I see you every Saturday morning at the Rockwood bakery on the patio with your gigantic fluffy Newfie. You with your sky blue eyes; him with his adorable slobbery jowls. Wanna share a cappuccino? 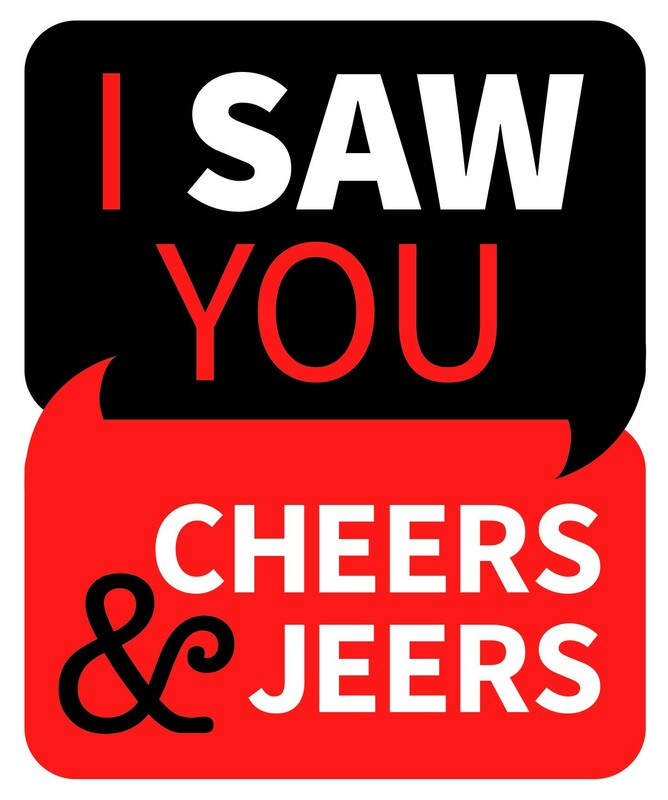 Fall Fun: I saw you at Siemers this Sunday. You were wearing the most ugly-cute tie I have ever seen, thoroughly enjoying a huckleberry doughnut and singing along to the cheesy '90s tunes. You made my day. Don't stop finding joy in the little things. Hottie at the Hotpot: I saw you at Hong Kong Express on Sunday the 21st. You were dressed in turquoise and ordered Hotpot. I admire your adventurous nature and kind treatment to the restaurant employees. Your smile was infectious and your optimism was refreshing. I would love to share a bowl with you sometime! Kudos: Congrats to 25 years of Inlander. What I appreciate most is you don't hide your liberal leanings as made clear by writers like Robert Herold. You provide the most comprehensive weekly guide to happenings and arts in our community. I never miss reading an issue. Keep it up! lgbtq+seniors: Cheers to the lgbtq + seniors for partnering with the new diversity choir at a saturday potluck. And cheers again for partnering with medical students at wsu spokane to show gen silent about lgbtq+ aging issues! My Hero from Wizzle Town: "I see her in the mornings, smiles abound.She makes my day so there's no need to frown. She's funny and smart, she's the cutest thing around. When it comes to cookies, she really knows how to get down. Her eyes are blue, and her hair is brown. She's my number one buddy, she's the shizz nizzle from Wizzle Town"
Keb Mo drunk dude: Jeers to the drunk dude that was escorted from the Bing Crosby Theater during the Keb Mo performance. This guy made an idiot of himself, made many others around him uncomfortable and cast a negative vibe at the beginning of this performance. Cheers to the person who quickly alerted theater staff to 86 the drunk dude. Spokane doesn't need to tolerate intoxicated idiots and hopefully this one will seek much needed help. Reuter's "facts": John Reuter's comments in last week's issue is titled "Facts Matter," and while it was heartfelt and rousing it was woefully short on facts that pertain to Initiative 1631. The initiative exempts 60% of the states largest polluters and the money raised will be overseen by an unelected board of officials with no clear or binding guidelines in how the money will be spent. It puts a permanently escalating tax on Washington families who already live in the MOST regressively taxed state in the nation. Voting for fact does still matter and Reuter's article urging us to "save the world" by voting yes on 1631 is short on facts and long on hype. Clueless Fender Bender: To the people involved in what looked like a minor fender bender on Bruce Road just south of Day Mt. Spokane road on Sunday around 11:30 a.m.... I say minor because there were maybe 4-5 adults standing on the side of the road casually chatting as one of your cars fully blocked a travel lane on a very heavily-traveled road. WHY didn't you move that car to the shoulder (there was plenty of room)? I hope the reason is because it wouldn't' start... because if you sat there and watched the traffic chaos that ensued in both directions, cars lined up as far as the eye could see on a two-lane road... and still thought it was ok to leave your car in the middle of the road — then you clearly need a reality check. Take pictures and move out of the way! !